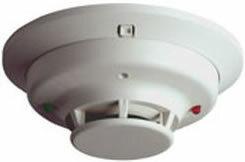 Countryside Alarms offers Honeywell’s top of the line commercial fire systems and components for any size commercial, residential or multi-use building. 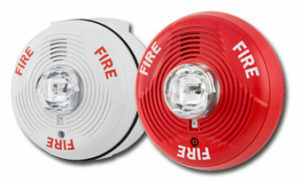 built-in, dual-line digital fire communicator, Form C trouble relay, and two programmable Form C relays. The firmware has powerful features such as detector sensitivity, day/night thresholds, drift compensation, pre-trouble maintenance alert, and calibration trouble alert. IFP-1000/HV supports a variety of devices, ncluding RA-1000 remote annunciator, 5824 serial/parallel printer interface module (for printing system reports), RPS-1000 intelligent power module, and Hochiki or Intelligent Device Protocol (IDP) devices. View or download the IFP1000 spec sheet. View or download the IFP1000 Basic Operating Instructions. 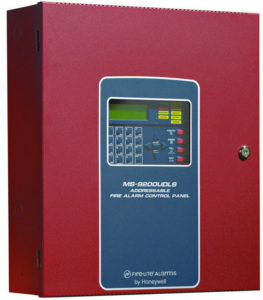 IFP-100 is an intelligent analog/addressable fire control panel. The basic IFP-100 system has a single SLC loop and 4 notification appliance circuits that can be programmed for notification outputs or auxiliary power. 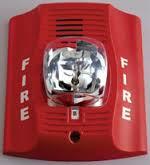 It also has a built-in dual line digital fire communicator, Form C trouble relay, and 2 programmable Form C relays. The firmware has powerful features, such as detector sensitivity, day/night thresholds, drift compensation and pre-trouble maintenance alert. IFP-100 supports a variety of other devices that can be added to the system such as RA-100 remote annunciator, 5824 serial /parallel printer interface module (for printing system reports), and 5496 intelligent power module, and Hochiki (SD) or Intelligent Device Protocol (IDP) devices. View or download the IFP100 spec sheet. View or download the IFP100 Basic Operating Instructions. 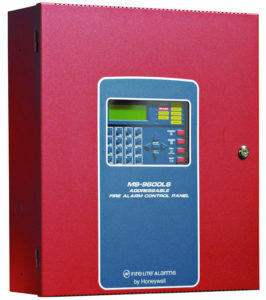 IFP-50 is an intelligent analog/addressable fire control panel (FACP). IFP-50 has a single line circuit (SLC) loop for connecting addressable detectors and modules and has two notification appliance circuits that can be programmed for notification outputs or auxiliary power. 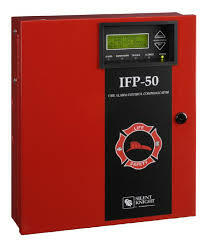 IFP-50 also has a built-in dual line digital fire communicator, Form C trouble relay, and two programmable Form C relays. The firmware has powerful features such as detector sensitivity, day/night thresholds, drift compensation and pre-trouble maintenance alert. IFP-50 supports a variety of other devices that can be added to the system such as RA-100 remote annunciator, 5824 serial/parallel printer interface module (for printing system reports), and 5496 intelligent power module, and Hochiki or Intelligent Device Protocol (IDP) devices. View or download the IFP50 spec sheet. View or download the IFP50 Basic Operating Instructions. Fire•Lite’s MS-9600LS(E) and MS-9600UDLS(E) are compact, cost effective, intelligent addressable FACPs (Fire Alarm Control Panels) with an extensive list of powerful features. 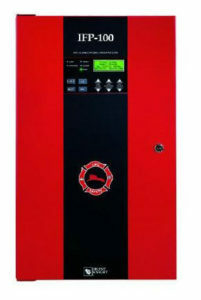 The combination of Fire•Lite’s newer series devices and legacy 300 Series devices, along with the MS-9600LS(E) or MS-9600UDLSE FACP, offer the latest in fire protection technology. LiteSpeed™ is a patented technology that polls 10 devices at a time looking for new or different information. When new information is found at a specific address, the system polls that device several times for any new data. This improvement allows a fully loaded panel with up to 636 devices to report an incident and activate the notification circuits in under 10 seconds. View or download the MS-9600LS(E) spec sheet. 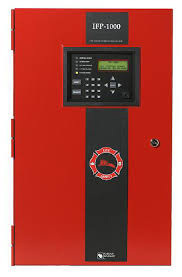 The Fire•Lite MS-9200UDLS Rev 3 with Version 5.0 firmware is a combination FACP (Fire Alarm Control Panel) and DACT (Digital Alarm Communicator/Transmitter) all on one circuit board. This compact intelligent addressable control panel has an extensive list of powerful features. While the MS-9200UDLS Rev 3 may be used with an SLC configured in the CLIP (Classic Loop Interface Protocol) mode, it can also operate in LiteSpeed™ mode—Fire•Lite’s latest polling technology—for a quicker device response time. LiteSpeed’s patented technology polls 10 devices at a time. This improvement allows a fully-loaded panel with up to 198 devices to report an incident and activate the notification circuits in under 10 seconds. With Litespeed polling, devices can be wired on standard twisted, unshielded wire up to a distance of 10,000 feet. View or download the MS-9200UDLS(E) spec sheet. 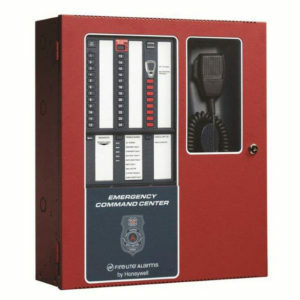 Fire-lite’s ECC-50/100C is a multipurpose emergency voice evacuation panel for fire applications, mass notification applications, or both. The Primary Operating Consoles (POC’s)delivers 50 or 100 watts of audio power for distribution to up to eight speaker circuits (i.e. zones). The ECC-50/100C comes standard with a single speaker circuit and a built-in 25Vrms, 50 watt amplifier. A secondary 50 watt amplifier (ECC-50W-25/70V) can be added for single speaker circuit backup or to increase system capacity to two speaker circuits and an additional 50 watts of audio power. An optional ECCCE6 module added to the ECC-50/100C will upgrade the system to a maximum of eight speaker circuit outputs. All speaker output circuits can be wired in either Class B or Class A configuration. The ECC-50/100C has fourteen field programmable messages (up to 60 seconds each), built-in field configurable pre- and post-announce tone generators and a fully supervised Notification Appliance Circuit (NAC) with 2.0 amps of synchronized NAC power. View or download the ECC50/100C spec sheet. 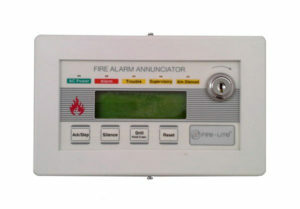 The LCD-80F is a compact, cost-effective, 80-character, backlit LCD remote Fire Annunciator for use with the Fire•Lite MS-9200UD Series and MS-9600 Series Fire Alarm Control Panels (FACPs). The LCD-80F displays complete system point status information and includes control switches for remote control of critical system functions. Up to 32 LCD-80Fs may be connected onto the EIA-485 terminal port of each FACP. The LCD-80F requires no programming, which saves time during system commissioning. View or download the LCD-80F spec sheet. Designed to integrate seamlessly with CCTV, access control and Honeywell’s full range of fire and burglary components, the new VISTA-128FBP provides the ultimate protection of life and property. The UL Listed commercial fire and burglary control panel supports up to eight partitions and up to 128 zones/points using hardwired, wireless and V-Plex® addressable technologies. 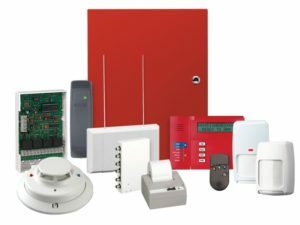 A diverse line of Honeywell initiating devices, notification circuits, communication devices, keypads, RF receivers and relays are also supported. The VISTA-128FBP has been designed to mount quickly and easily in an attack resistant cabinet, and is available in 12V and 24V models. View or download the 128FBP spec sheet. 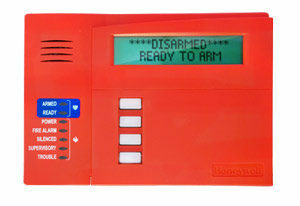 The 6160CR-2 is an addressable remote keypad intended for use in commercial fire applications with Honeywell’s commercial fire control panels. The keys are continuously backlit for convenience and easy visibility. The LCD display is backlit only when a key is depressed*, or when the system is in alarm or trouble condition. *Note: The LCD may be programmed to remain on at all times (see panel instructions for details). View or download the 6160 spec sheet. The GX91/GX93 Series mini-horn is a high quality remote signaling appliance that offers dependable remote annunciation. The GX93 is listed for use with both filtered and unfiltered power. Countryside has both “RED” & “White” devices in stock. Also NEMA4 devices for outdoor. View or download the GX93 spec sheet. The SpectrAlert Advance series offers the most versatile and easy-to-use line of horns, strobes, and horn strobes in the industry. 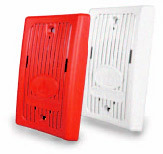 With white and red plastic housings, wall and ceiling mounting options, and plain and FIRE-printed devices, SpectrAlert Advance can meet virtually any application requirement. Like the entire SpectrAlert Advance product line, ceiling-mount strobes and horn strobes include a variety of features that increase their application versatility while simplifying installation. All devices feature a plug-in design with minimal intrusion into the back box, making installations fast and foolproof while virtually eliminating costly and time-consuming ground faults. View or download the SpectrAlert spec sheet. er reliable operation over the entire temperature range of 40°F to 151°F. They may be used indoors or outdoors in wet or dry applications. In addition, these speakers provide a broad frequency response range and low harmonic distortion to provide an accurate and intelligible broadcast of evacuation messages. High sound pressure level at all tap settings ensures that messages are clearly heard. View or download the SpectrAlert spec sheet.